This effort was discussed in my recent post about my trip to DC last week, and is described in further detail in a post from May of last year. My letter was updated this year and some of the Montana patients active with Northern Rockies Lyme Disease Coalition efforts shared their photos to help further illustrate our presence in Montana. The effort was coordinated by Sheila Bush and others involved in the 1,000 Letters Lyme Campaign. I was misdiagnosed with Chronic Fatigue Syndrome for three years. During this time I became entangled in federal employment loopholes and nearly forced into disability. I was able to regain my job through a year-and-a-half-long formal, federal discrimination process. After returning to work, I was finally able to travel out of state for adequate Lyme disease testing and treatment. Despite having untreated Lyme disease for 3.5 years, I responded very well to antibiotics over the course of several months, experiencing significant reductions in symptoms and increases in physical and cognitive stamina. However, I have since experienced a relapse in symptoms and am now struggling to regain my ability to work and to function as an active 39-year-old mother of two. I know many other Lyme disease patients who share the same story. Some of them have been on antibiotics for a couple of years, and each time they try to come off, their symptoms creep back. I also now know many other patients who contracted Lyme disease in Montana and neighboring states, and we all struggle to find adequate care in our state, as do the patients who contracted it elsewhere. As a biologist, I struggle enormously with the lack of credibility I’ve seen presented and adhered to by the Infectious Diseases Society of America (IDSA) and the Centers for Disease Control and Prevention (CDC), and cannot believe the degree to which best available current science is disregarded in the diagnosis and treatment of Lyme. There is a large body of evidence-based science—more than 700 peer-reviewed studies—that is being ignored by IDSA and CDC, which is an outrage. Best available science leads to adequate treatment and diagnosis practices. Regulators, physicians, and patients need to demand scientific integrity and accountability. All patients and doctors need to be aware that there are currently two sets of Lyme disease guidelines. IDSA authors one set; the International Lyme and Associated Diseases Society (ILADS) authors the other. Members of IDSA brazenly refuse to adhere to the trustworthy standards for writing and reviewing medical guidelines as set by the Institute of Medicine (IOM). In fact, the National Guideline Clearinghouse (NGC)—whose national database of medical guidelines is accessible to doctors and insurance companies alike—repeatedly warned that if IDSA did not start adhering to the IOM standards, their outdated Lyme disease guidelines would be removed from the NGC database, and a few months ago that is exactly what happened. This is good news for Lyme patients, since it means that, for now, only the up-to-date ILADS Lyme disease guidelines can be found in the database. Further, because of IDSA’s bad behavior, an unprecedented antitrust violation investigation was launched against its members several years ago. Many of them were found holding financial interests in pharmaceutical companies, consulting agreements with insurance companies, and patents in the inadequate Lyme testing. This is a clear conflict of interests. But in spite of all of the above, the CDC continues to give preferential treatment to the corrupt IDSA Lyme guidelines, while ignoring the thorough and up-to-date ILADS guidelines, even while Lyme patients suffer in agony and perish. This is unacceptable. The members of the very organizations put in place to protect the health of the public are instead financially benefitting from our sickness. It is criminal and must stop. 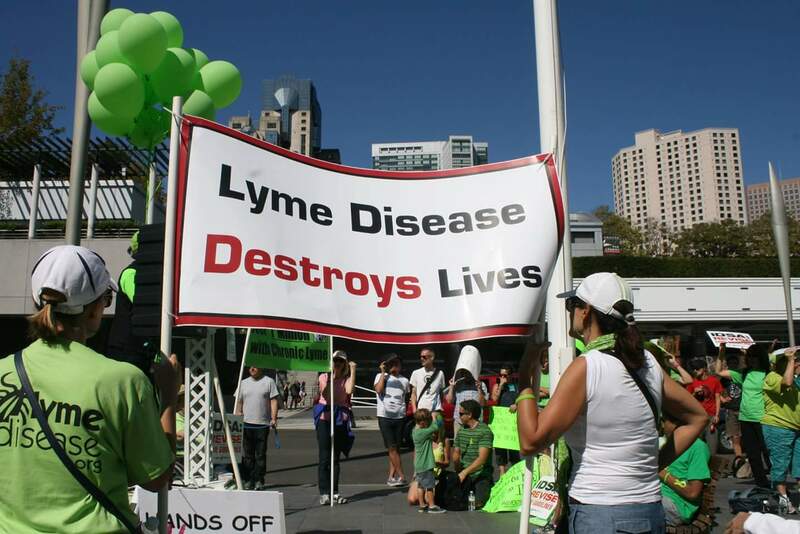 It is the reason why sick Lyme patients have traveled from around the country to march on Capitol Hill and to protest outside of the IDSA headquarters in Arlington, VA, and outside of the CDC headquarters in Atlanta, GA. So many more patients wish they could be here today but are too sick to travel, too broke to travel or both. We ask that you stand in solidarity with us. Please help spread the word about Lyme disease and please go to sites like change.org and moveon.org., where you can sign petitions asking that Lyme disease be legalized. You can also reach out to your representatives to ask the same. You should know that in 2013 the CDC made a press release stating that there are now upwards of 300,000 new cases of Lyme disease in the United States each and every year, making it the fastest-growing infectious bacterial disease in the country! You are 6x more likely to contract Lyme disease than you are HIV and you’re also more likely to contract Lyme than you are breast cancer, colon cancer, prostate cancer, MS, HIV, ALS, West Nile Virus, hepatitis, Ebola, Zika and many other conditions. Yet Lyme disease receives almost zero funding and the very doctors who are supposed to be diagnosing and treating us are relying on outdated statistics and guidelines. These doctors miss the diagnosis altogether, which can lead to devastating lifelong consequences for the patient. Additionally, many doctors are afraid to treat late-stage Lyme disease patients because they risk being stripped of their medical licenses for doing so. Some states thankfully have passed legislation to protect the heroic doctors who dare to treat us, but it isn’t enough. People need to realize that Lyme disease is everywhere! I’m living proof that it’s in the Northern Rockies. And of the 100 known strains of Lyme disease in the U.S., researchers have found more strains in the Southeast than in even the North! Further, you do not have to be “outdoorsy” to contract Lyme. I have a friend who lives in NYC who was bitten by a tick when she went to the Brooklyn Botanic Garden for a couple hours. That’s right—she contracted Lyme disease in Brooklyn, NY! I also know several people who were bitten by ticks in their own yards, while gardening or just relaxing. And unless promptly diagnosed and adequately treated in its acute stage, Lyme is a serious medical condition. I bet you’re unaware that Lyme can cause lesions on the spine and brain, which is why neurodegenerative symptoms are so common, and it can also attack the heart, leading to death. The most shocking statistic of all: of the 300,000 new cases of Lyme disease in the U.S. each year, the CDC says that only 30,000 of them are reported. That leaves hundreds of thousands of sick patients who most likely don’t even know why they’re sick. Please learn what you can about Lyme disease and its co-infections so that you can protect yourself and your loved ones. If you ever do suspect Lyme disease, an excellent resource is ILADS.org. The site has loads of information and will also help you locate a Lyme Literate MD (LLMD). Whether you suspect Lyme or not, I recommend the award-winning documentary Under Our Skin: The Untold Story of Lyme Disease. You can find it on Amazon, Hulu or viewster.com. Or just scan the QR code below to watch it free on your phone. You’ll learn so much! I miss the life and career I loved, the activities I once enjoyed with my kids and my Girl Scout troop, and my ability to run, hike and physically enjoy life. I took great pride in my intelligence, my quick wit, my accomplishments, and my physical strength. Now I must stay cognizant of how I’m feeling and of my energy levels; if I do too much in a day, I can easily wind up bedridden for the next week. I also have to rely on visual cues and notes to remember the sorts of things I used to do automatically, such as turning off the faucet after running a bath. These types of symptoms are typical of most Lyme patients. This disease has cost me too much. It is currently tick season—please protect yourself. Thank you for reading my letter and allowing me to share a bit of my story. 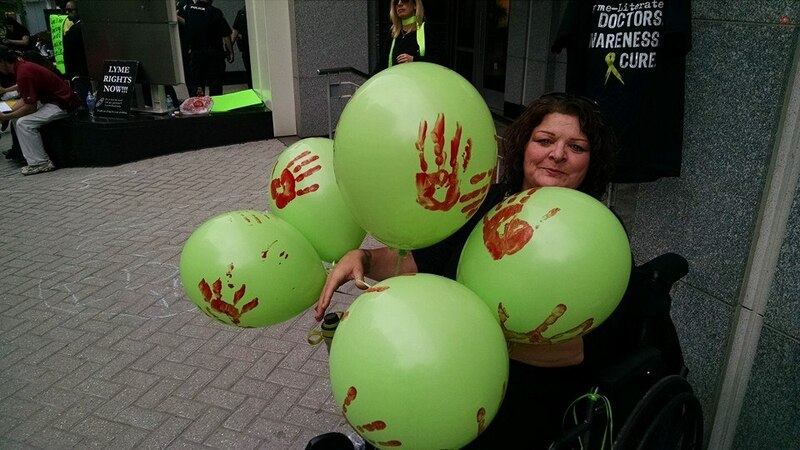 Each May, The Mayday Project hosts a rally outside of the Infectious Disease Society of America’s Headquarters in Arlington, VA, to raise public awareness for Lyme Disease and for the damage being done by the outdated and dangerously flawed IDSA Lyme Disease Treatment Guidelines, and to fight for change. Patients travel from around the region and the nation to participate. This year also included a ‘We The People’ rally on Capitol Hill (May 19) and a rally outside of the CDC’s offices in Atlanta, Georgia, simultaneous to the rally at IDSA Headquarters on May 20. There was also a day for patients at the National Zoo with lunch hosted by NatCapLyme and a reading from author Nancy Fox (which I sadly couldn’t stay for). A highlight in my plans to attend the rallies this year was a Science and Policy Forum held by the Lyme Patient Advocacy Project and Lyme Action Network on May 19 with a commendable list of speakers and topics. Written February 2015, posted May 2016. This is part two (focusing on the emotional and health costs of misinformation) of a response to a horrible article challenging Yolanda Foster’s Lyme Disease diagnosis and the existence of Chronic Lyme Disease. I began this article over a year ago, but am only now finally publishing it. Because I also have Lyme disease, and that is our reality. Part One of this article (focusing on science and credibility) was a defense of Yolanda Foster, Chronic Lyme, and (more or less) the basic tenets of science. Even though my response in part one had mostly to do with the awful content of the article, my take on Yolanda’s role in Lyme advocacy had evolved considerably by the time that article was posted. Even though I didn’t speak to her situation very directly (and am certainly not in a position to do so), I’ve come to better understand her enormous following in the Lyme community and the growing and evolving impact she has had on patients that are facing or have faced similar struggles. Most notable to me at the time were headlines about her missing her old self. I’m saddened for her and saddened that I and so many others I know can relate so very intimately with the feeling. We don’t need ‘proof’ of her illness because we can identify in a way that is hard to describe, and we can see what we’ve been feeling in her face. ‘Faking’ that look would be like faking Bell’s palsy. In both cases, you have to live it to have any idea how it feels. This disease is too dang specific and unimaginable to emulate. The costs of misinformation and public hostility are too numerous and diverse to address. They include overwhelming logistical impacts to healthcare and daily life, but also, and in particular, traumatic emotional costs to already-suffering patients. This (no longer recent) article’s passive aggressive criticisms were pointed at Yolanda, but were expanded to include chronic Lyme patients and physicians willing to treat them in similar tone and style to continuing mainstream articles and public quotes from those responsible for writing and upholding the outdated treatment guidelines discussed in Part One. The hostility of this particular article is apparent in it’s title, “Real Housewife, Fake Disease,” but the full extent of the hostility within the article may not be initially apparent to readers not familiar with the disease and its politics. As a recap from part one, although the author implied he was objective on the topic, his claims were slanted, incorrect, and consistent with unfounded denials of Chronic Lyme by health care agencies and organizations supporting the outdated guidelines noted above. Inadequate diagnostic criteria and treatment protocols have led to delayed care for hundreds of thousands of patients each year, even though science is on the side of patients and doctors living with and adequately treating this illness. As devastating as these limitations to care are for patients, there are also tremendous direct and indirect emotional costs from from this kind of posturing and inaccurate writing. It can feel violently aggressive to someone whose physical torment is being dismissed in a manner that is insulting, demeaning, and incredibly inflammatory (literally and figuratively). Articles like the Saunders article, and many mainstream media articles published each year, perpetuate outdated information and foster continued disrespect to patients that are suffering every bit as much, or in some cases more, than many debilitating conditions the general public is better informed about (whose sufferers are at least somewhat less subject to this type of attack). An extensive and rigorously structured patient survey from 2013, for example, illustrates the under-recognized debilitating impacts of Chronic Lyme by comparing the impacts of multiple illnesses on patient quality of life, based on over 5,000 patient responses. The results are discussed in multiple articles on Lymedisease.org. Those authors and many more found that Lyme patients’ quality of life was lower than virtually all conditions to which it was compared and for most or all parameters considered. Yet Lyme patients are not treated with the same respect from doctors nor, typically, the same empathy from society and peers compared to better-known illnesses (a large number of very public examples from Yolanda’s Real Housewives costars have illustrated this quite thoroughly since this article was originally written). The less people know about Lyme Disease, the harder life can be for individual patients, who will have to work harder for health care, work accommodations, insurance coverage, and understanding. Misperceptions lead to unrealistic expectations of ourselves as patients and from our employers and loved ones. These are just a few examples that are rampant in the article and in daily life. These would seem to patients to be too obvious to even need to note, yet the article and many like it continue to demonstrate otherwise. Short courses of antibiotics can work for patients diagnosed immediately, but most patients are not diagnosed immediately, so that 4 weeks of antibiotics will not be adequate, and can do more harm than good by sending the spirochete form of the illness into harder to treat forms and harder to reach tissues and body systems. So short a time on a single antibiotic can also leave co-infections, commonly contracted from the same ticks or vectors the patient contracted Lyme from, untreated, often leading to permanent impairment. The ups and downs of Lyme, especially during misdiagnosis and during late treatment, can be misleading. No physician should be perpetuating the idea that functional days somehow discount the presence or extent of an illness. If bosses, loved ones, or patients set their expectations according to their best days, recovery will be greatly impeded. Getting diagnosed at all is extremely difficult, early or late, regardless of symptoms, making later and longer treatment all the more likely. This doctor dangerously glosses over this point and most people have no idea how difficult diagnosis is, even with ‘text book’ presentation. Misinformation on these and many related points also leads people on the cusp of diagnosis away from the right course, further delaying treatment with potentially permanent consequences. A recent article (at the time this post was initially written) in Psychology Today by Toni Bernard very well summarizes and refutes some of these, and other, misconceptions as they pertain to chronic illness patients. As she states, hopefully someday these all-too-common misconceptions will become uncommon. As important as proper research would have been to the medical aspects of Mr. Saunders’ article, many resources, including mainstream articles and hundreds of patient blogs could have given him insights into patient experience that might have helped him avoid insulting thousands of patients whose suffering he clearly does not understand. Therein lies the tremendous value of Yolanda’s openness about her struggles and her symptoms. Patients, loved ones, and the public can better understand a lot about this illness through the human aspects of this disease and the unique (and ridiculous) obstacles surrounding it when they can see and relate to the similarities in her experiences. When Yolanda posts her ups and downs, fans and non-fans alike have been taking note and are getting to see this disease as the multi-dimensional, forever-life-changing and ever-present (if not ever-visible) force that it is. Not all readers or writers see the picture clearly, but her experiences resonate enough with patients in all walks of life that the headlines patients see, positive or negative in their approach, can feel quite personal. The type and tone of media coverage feels like it has shifted in the past year. Even through all of the recent negative press stemming from costars and other portions of the media (and although there were supportive articles readily available previously), the amount and the visibility of empathetic coverage has steadily increased. Early in my illness, as I looked further into the ‘science’ that had kept me misdiagnosed and sick I obviously became more and more frustrated, as a patient and as a biologist. I could not have anticipated how deep the impact of negative press coverage could actually be, nor that it would be so deeply and personally painful. It is comforting to see the human side of this disease made visible by Yolanda where all kinds of people can see it and understand it. There is something infinitely valuable to me in seeing photos that move me almost to tears through the instant recognition of the very pain (or triumph) on the face of another person that I am experiencing myself that day. That comfort defies description as much as the pain caused by the public expressions of scorn that this doctor represents. Making her Lyme Disease Challenge bite post on Instagram last night (again this year) all the more meaningful. Some days are so hard. Please continue your prayers for my friend, Bambi, who is fighting ‘like a girl’ to recover from her second Lyme stroke. She’s got a long way to go and more hard battles to fight. Her beautiful face will return to my cover tomorrow, but for today I want to honor the life of another Lyme friend who has lost the fight. You know, we all look pretty good. We don’t have deformities or scars to be outward proof of how sick we are. We wear this armor of courage, and we smile through horrific pain and reply ‘I’m fine’ because if we don’t do that we lose everyone. The truth, as with any chronic illness, is that we are tired, we are in terrible pain ALL THE TIME, and we are SCARED! Our friends in this fight, the people who truly understand what life with Lyme is like, are dying around us. I’m not afraid of death, but I’m not ready to go there yet. No one has a choice in when it is their time to die, but we don’t even have acknowledgement that we are sick. Our government is so deep in criminal denial, they know the truth, the evidence is everywhere and is so powerful, but the government somehow sidesteps around their liability. There is so much blood on the hands of people in power, yet nothing is done because admitting it would put people in high places into jail. I know no one wants to hear this. People do not like conspiracy theories or speaking poorly of our country. It is very clear to all lymies that our family and friends who are not afflicted with this plague are tired of hearing it from us so they ignore us or push us away. I try not to put so much doom and gloom on my page because it’s not good for me (or anyone else), but today I will wear my heart on my sleeve because I’ve lost another friend and I’m so scared. Rest in Peace, Kelly. Today I will allow myself to mourn. Tomorrow I will pick up my sword and begin the fight again, because you should be here, Kelly. Your life really mattered. I know God sees our plight, and some day we will understand the master plan of all of this. Rory is a Lyme patient and advocate, and a beautiful human being. This post quickly touched a lot of hearts on a day that a lot of hearts were hurting. Somewhere on a similar thread, someone’s comment stuck with me that, “suicide is a lyme issue” and that is something we come to know through the losses, and there have been many this year. You can see past photos of Rory in posts here and possibly on NorthernRockiesLyme.org (and their respective facebook pages) at the Philadelphia MayDay rallies at the October 2014 IDWeek conference, and from the Arlington MayDay protest from May 2015. The following graphics were shared on each Lymies’ respective pages with the request to share and use as cover photos. 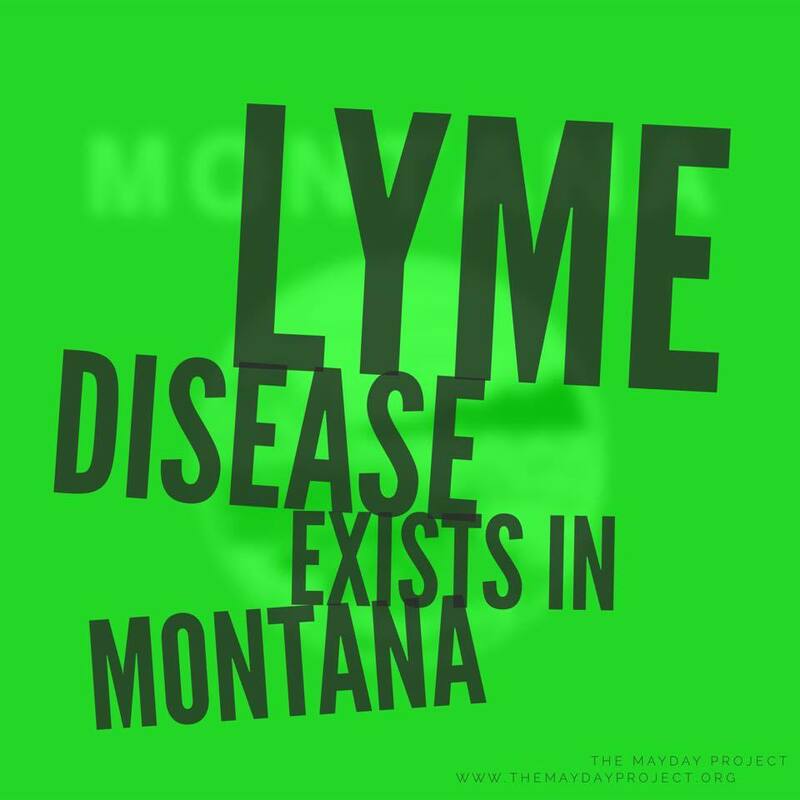 If you have trouble downloading them here or finding them on facebook, they are (or will be) also saved as cover photos on the Invisibly Lyme Montana facebook page (as well as any others people create that I see). A memorial page for Kelly has been created on the blog “What is Lyme?” that will be added to with additional details. Thank you, Rory, for allowing me to post this. And thanks to Kory James for allowing me to use your graphic in this post. Yesterday I posted a status, and had some interesting responses. I essentially “came out” as suicidal. This isn’t the first time I’ve made this known to people, but it’s the first time I’ve blatantly posted it on social media. Loved ones who have known this about me for many months, who I’ve sat in front of and literally flat out told, and who didn’t take me seriously at all before, and actually mocked me, are now taking me seriously because they think making it public is a plea for attention. When it’s private, it’s easy to ignore, but now that it’s public, God forbid something happens to me, and they look like an a$$hole. Let me talk about suicide for a moment. Suicidal thoughts / actions can be considered both a symptom, and a disease. They can occur alone, or alongside other issues such as bipolar disorder, chronic pain, self-harm, and terminal illness. They can be seemingly “rational” (I am in so much pain everyday that it would make more sense to kill myself than live with this much suffering) or “irrational.” (I have a great life, good health, and a happy family, and for some reason I want to die.) But disease has nothing to do with rationality. There is nothing inherently irrational about diabetes, about hemophilia, about a broken wrist, or about suicide. Suicide rests at #10 on the list of top 10 causes of death in the United States. #2: Cancer: Imagine being afraid to tell your friends and family that you have cancer, because they might think you’re looking for attention. 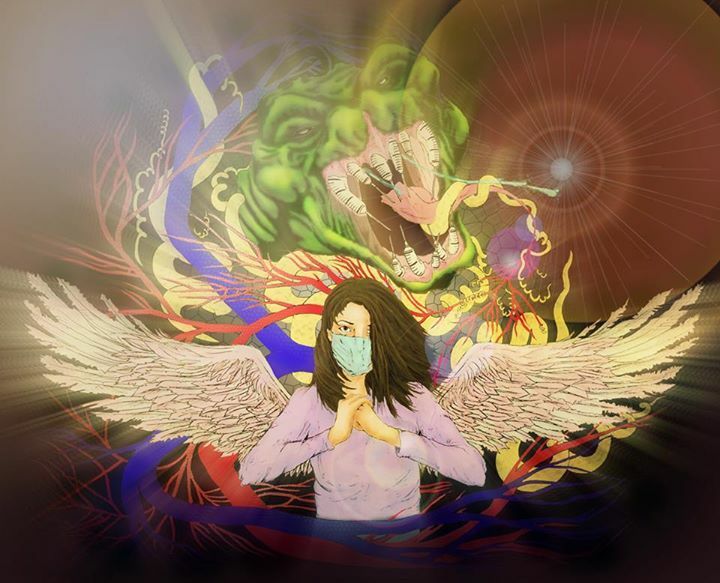 #3: Chronic respiratory diseases: You’re suffering every day from emphysema, but you must hide your symptoms from the world as you struggle to breathe because if everyone knew you were having trouble breathing they would think you were insane! #6: Alzheimer’s: Imagine someone suffering from Alzheimer’s being told that they just need to try harder to remember things. #8: Influenza and pneumonia: Imagine telling people you have the flu and everyone instantly assuming you’re lying. You can judge me. Go right ahead. But the truth is, I’ve been dealing with severe depression since I became chronically ill. I’ve lost friends to suicide. I have lived it every day for years. And I’m proud of myself. I’m still here. And I’m gonna still be here for the next hour. And that’s all I know right now. And that’s fine. Because once I get through this hour, I will focus on the next hour. And then the next. Faking it until you make it. Smiling while your life falls apart. Taking walks when you want to take your life, eating food when you want to vomit, brushing your hair in the morning when you think you are the ugliest person on the planet. There’s nothing wrong with this, and often, it’s the only way you can survive. The biggest thing that people often don’t realize is that you can be suicidal and want to live. They are not mutually exclusive. I want to live. And I fight really, really, really hard to be here. Shatter the stigma. Stop the judgement. End the accusations. Let’s talk about suicide. Let’s support survivors. There is no shame here. I have no shame, do you? Jordan Landerman is a college student and Lyme disease patient from California who contracted Lyme while hiking a trail on her college campus. 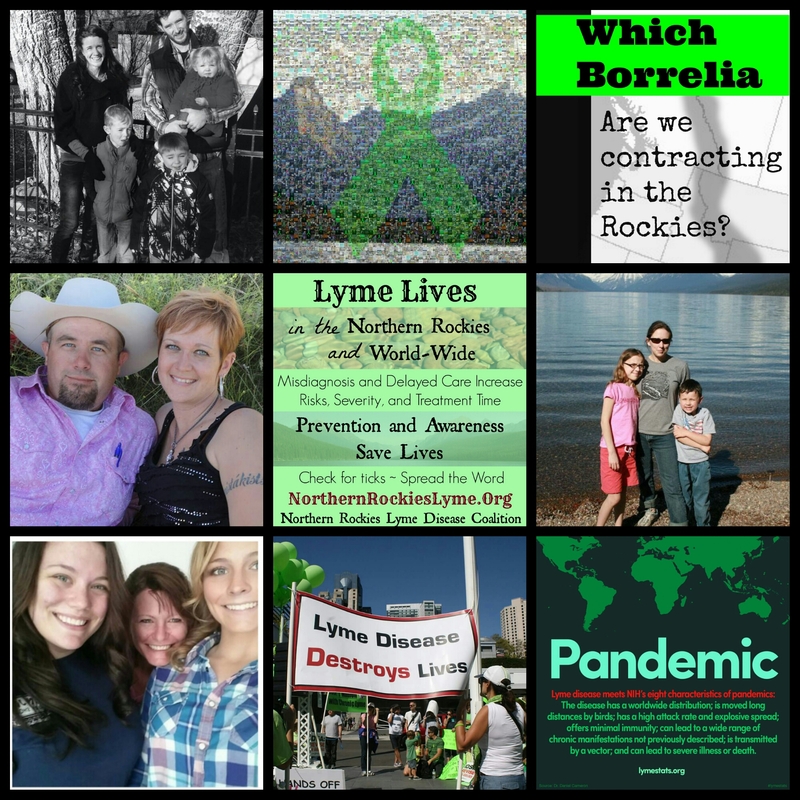 She is also an activist, and her videos, posts, and art have been shared in some combination preveiously on this blog (InvisiblyLymeMontana.com), it’s associated facebook page, NorthernRockiesLyme.org, and/or it’s associated facebook page (Northern Rockies Lyme Disease Coalition). Her Lyme Disease Challenge Video was extremely touching, and she has recently reached thousands with a very genuine video depicting some of Lyme’s scarier types of moments. Today is National Suicide Prevention Day. In light of that I’m gonna tell a secret. I think social media is often a lousy mortician, desperately trying to make us all look more alive, and my online persona has historically had trouble telling the truth. Meaning, I don’t post on my bad days. On my bad days I cry and quit and give-up and throw tantrums and then a few days later, when I’m feeling a bit better, I post a photo of myself doing a handstand on the beach. I only understand some of why it feels healing for me to speak directly to depression and anxiety and suicidality within the context of my poetry, when it is still a challenge for me to speak to it outside of the container of art. Thank god for art for that reason. But also, I’d like to be more invested in telling the truth, even when it stirs up my vulnerability and my terror and my shame. We are a culture that shames people who tell us they are hurting, so people don’t tell us they are hurting, and we lose them to that silence. I have lost too many people to that silence. So here is a photo of my couch. It looks nothing like the beach. I’ll never do a handstand on it. Somedays I just lay here and cry. This is part one (focusing on the science) of a response to a recent article which questioned Real Housewives star Yolanda Foster’s Chronic Lyme Disease diagnosis and claimed that there is “no good evidence” that Chronic Lyme Disease exists. Recent findings published in the Journal of Medical Entomology carry critically important implications for Lyme Disease detection in Montana and other states currently not considered Lyme endemic. My son’s teacher took the time to type and email my son’s resolution from a project in class, and it truly melts my heart. It’s certainly not easy for either of my kids to have a mom with Lyme disease. My New Year’s resolution is to finally become a youtuber so I can earn money for me and my family. And to raise awareness of Lyme disease. I will start off doing blog videos and as I earn money I will use 99% of it to raise awareness of Lyme disease. The other part of it to buy games and gaming consoles. Doing this is so important to me because (one) Lyme is a serious cause (two) My mom Angela Daenzer (D-e-nzer) has Lyme and the stupid C.D.C. says “we don’t have Lyme in Montana.” So my mom had it for three years and didn’t get treated. She had to leave her job cause she was to sick! Stupid farting C.D.C.! For millions of patients, like me and the dozens of other patients that shared varying degrees of their situations and stories here, still fighting Lyme Disease years after our initial infection, it is emotionally difficult to read or hear that our disease ‘does not exist’. We need a larger percentage of doctors and the general public to understand that such statements are completely unfounded. The science and the stories are all on our side, even if the politics so far are not. Every bit of awareness we can spread is worth our time and energy, whenever we are well enough to try. And if you are not sick, these accounts are worth your time to read and our efforts toward change are worth your time to help with. Odds are you will know someone soon enough that will have to live through this if we don’t help fix the factors that are prolonging our illness. Time will be on our side when the stories and the science are finally in the right hands and understood by enough people who aren’t yet sick. Patient accounts of Chronic Lyme Disease, combined with science and the evolution of this debate, are a critical piece of the current battle over the persistence of this disease and in it’s diagnosis and care. There are accounts and faces and stories of this illness spread by many means, but there will never be to many places and ways to share our stories. The accounts here all include hallmark traits of our experiences that point to the specific problems and pitfalls patients are facing as a result of currently inadequate policy and guidelines that inhibit our care. If you are a patient new to Lyme, share what you have experienced and find ways to connect with others in the Lyme community. There are urgent needs and ongoing campaigns posted in tabs on this page, but there are also Lyme organizations linked to that you should visit. If you are a politician, representative, or member of the media being asked for support, please read these stories and know that there are hundreds of thousands of us living this. Please help in any way you can and watch for or make opportunities to do so. Were you diagnosed with Lyme disease first, or something else? I was one of a “lucky” few longer-term Lyme patients who was not told they weren’t sick. All of my doctors felt there was something seriuosly wrong with me. I was, however, adamantly told it could not be lyme (based entirely on geography). I was diagnosed with Chronic Fatigue Syndrome, orthostatic hypotension, ADHD, sleep apnea, hyperflexion, TMD, a sinus infection, and Bell’s palsy. It is still unbelievable to me that Lyme was decided to be impossible without adequate evaluation, but that it was considered perfectly reasonable to think that all of the above conditions could all suddenly arise after a tick bite, all coincidental to one another and the tick bite. Statistically feasible? Yep, really. So, If you are in the ‘long term’ Lyme disease boat, was your initial treatment not effective, or was your diagnosis delayed? Or wrong?How Long Did a Proper Diagnosis Take? Any and all answers appreciated (anything from a few words to a detailed account, all show what patients are now routinely encountering, since the odds of a fast diagnosis are shockingly slim). Answers are also desired regarding how many patients remember a rash in this related previous post. 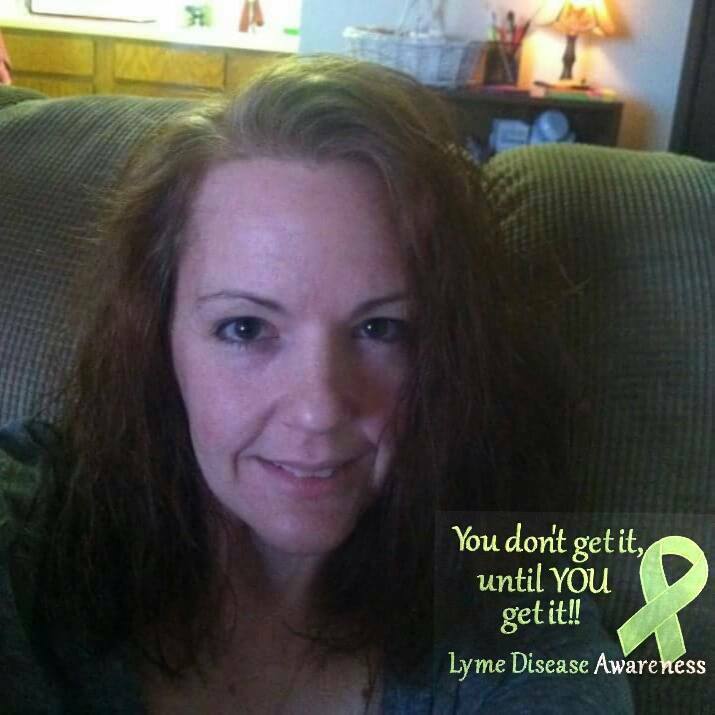 I can add your comment myself if you’d rather give it to me directly for any reason, and will be adding answers given in direct response to this post question via Facebook or other Lyme discussion boards. One way to give it to me directly is via my facebook page Invisibly Lyme Montana (either message me there, leave it as a post to the page, or find a thread with this post to comment on—in any of those instances, I will post your comment under your first name and last initial). Have a tissue ready and remember that these all represent lives that have been abruptly halted and changed forever. If you are a patient active in Lyme communities and support groups, you know already what your fellow sufferers have endured, and how common these scenarios are. If you are a patient that is not yet active, this may help you see the value in becoming active. We are largely telling each other’s stories within are own—illustrating how needless much of our suffering is, and how enormous is the need for change. I was fairly lucky I guess… Began feeling tired in early August of 2000. Doctor thought I had mono due to fatigue and swollen lymph nodes. Came back negative and he was stumped. Sent another blood test to CDC in GA. I was already away at college for my sophomore year and had to come home to get antibiotics… Pretty sure I was only on antibiotics for 7-10 days. Never had a rash, but never found a tick either…. That’s why I think I have chronic Lyme… Too short on antibiotics…. My family doctor told me it was anxiety. I ditched her after leaving in tears. Found a LLMD and was dx’d on the spot clinically and later through Igenex. My daughter did not have the bullseye rash. Words like fibromyalgia, severe anxiety, major depressive disorder and bipolar disorder have been batted around, and those probably would have stuck if I hadn’t had a friend whose daughter has Lyme who encouraged me to have her tested. No CDC or IGenex positive results but had enough +’s and indeterminates on her IGenex that if one indeterminate had been positive she would have been considered positive for Lyme. She has all the classic symptoms of Lyme, Babesia and Bartonella. Diagnosis was delayed. Never knew of a bite but have had various syptoms for at least 7 years. Had many negative ELISA tests (kept asking my PCP for Lyme tests because we have dealt with this beast in our family since the early 1990s). After every (false) negative test I was told I didn’t have Lyme. Finally, last fall, I demanded a western blot and that came back CDC positive. Was put on 100 mg. doxycycline twice a day for a month. So now I’m undertreated. Don’t recall a tick bite or bull’s eye rash, but went through 18 years of periodic bouts of debilitating vertigo before one year of extended severe stress causing not only the vertigo symptom to become more frequent and severe, but also brought out additional symptoms such as fatigue, tinnitus, migrating joint and muscle pain, and cognitive/neurological issues (memory and attention problems, difficulty learning new things, problems reading, etc.). Initial ELISA test came back negative – was diagnosed with Ménière’s Disease and put through vestibular therapy, which did not help. After 19 years, a Western Blot came back positive for Lyme (chronic) – also diagnosed with Bartonella and Babesia. Put on 8 weeks of Doxy, followed by a pulsing protocol of Omnicef, amoxicillin, and Flagyl, followed 5 months later with an herbal protocol. Symptoms improved and I was able to start a new job. Two months later symptoms started getting worse and continued to get worse for another 18 months until I was finally diagnosed with mycotoxin illness due to exposure to black mold in my workplace. My Lyme treatment was rendered ineffective during that time of exposure, advancing my Lyme & Co. I am now back on disability, trying to clear the mycotoxin illness before starting Lyme treatment again. Dealing with extreme fatigue, bad joint and muscle pain in my arms, and worsened neurological issues. Looking at IV antibiotics next. I had symptoms since I was 15… Migraines and clenching teeth at night. Insomnia and fatigue after first child born that I never got over. Three miscarriages. Daughter born, and my symptoms raged out of control. Finally diagnosed when she was 4 because my elbow and knee blew up so much so I could bend my arm or walk. Hadn’t slept more than 2-3 hrs a night for two years. 3 years on antibiotics. Turned away by top infectious disease doctor after one year of treatment bc “there’s no such thing as long term lyme” even though he admitted I was sicker than ever. Apologized and sent me on my way. I was diagnosed with MS first. It was not until we found a bullseye in my hair that they realized it was Lyme. Undiagnosed for 30+ years. I’d say that was delayed. Over the last five years I received many tick bites I got a round rash each time. I got sick each time but recovered. I never recovered fully though each time. The rash did not resemble the bulls eye it more resembled cirrhosis. I still wasn’t sure my doctor was right until I came on here and people sent me a picture of what their rash looked like and it was exactly like mine it was about three inches in diameter and looked a little like cirrhosis. Sometimes it would be a little oblong shaped. I went the whole five years with doctors telling me that is was stress and allergies. the last time I got bite must have been too much for my body to handle. I got bit four times in one day and I got three round cirrhosis like rashes and a few days later I got really sick. I did not realize they were ticks that were biting me though because all I ever seen was pictures of dog ticks. I thought all ticks looked like that. I thought the little black bugs that were biting me were some kind of mite or spider. Again after I went to a new doctor and she said I had lyme I came here ask about ticks on and some members sent me pictures of deer ticks and I couldn’t believe it they were the bugs that had been biting me. I still never see pictures of deer ticks on a lot of sites that talk about Lyme they always have an image of a dog tick. I no longer even look at those sites because if I see that it lets me know that they don’t know what they are talking about. First dx was MS, while following Dr. orders of steroids and imunosuppressants for 3 years I ended up in a wheelchair. I then sought the ideas of a NP and found out I had Lyme. I got sick in 1984 with a high fever, severe bone-breaking body aches, vertigo, nausea, and an itchy red round rash on my left thigh. It was not a bull’s-eye, by the way. I was 28 and so healthy I didn’t even have a doctor. My mom called around and got one to make a house call. He diagnosed Lyme, all right (I live in southeast CT) but he prescribed 7 days of Doxycycline. I threw up the first two pills so I got 6 days. Sure, I felt better…for awhile. And then began the nightmare. I’m now on disability for chronic Lyme…and decades of my life, wasted and gone. Diagnosed 2 years ago, Doctor figures I’ve been infected 15-20 years. Was on IV antibiotics daily for 7 months until my liver was affected badly. Now am going the Naturopathic route. Sad thing is I was searching for a diagnosis all those years and was told everything from virus to Lupus(then not Lupus), arthritis, anxiety, “it’s all in your head”, non-epileptic seizures…..the list goes on. If they had just tested me all those years ago, I wouldn’t be in the Chronic stage with neurological issues. I too am on disability. I WAS NOT DIAGNOSED CORRECTLY FOR 50 YEARS. No one would test me for years. Finally went to a very expensive clinic that did not take insurance. By that time I had Lyme, Babesia, Bartonella, Ehrlichia, 5 opportunistic infections, Hashimoto’s, a clotting disorder, and adrenal insufficiency. Am permanently disabled now. I was diagnosed with PTSD and CFS after the first year of intensive study at a teaching hospital. All symptoms presented were fixable if I would just go to therapy. I have been ill with this for 50 years, became completely disabled in 2004. I was diagnosed with MS in late 2000, but in June 2005 I was diagnosed with Lyme. I knew I had Lyme by 2003 but all of my tests were negative until 2005. I knew I did not have MS as I only had 4 symptoms verses 123 symptoms of Lyme. When I was diagnosed with Lyme in June I was also diagnosed with Melanoma the same week. I was diagnosed with CFS, fibromyalgia, RA, dermatomyositis, scleroderma, anxiety, depression (I refused antidepressants every time they insisted) partial seizure disorder, dysautonomia, POTS, heart murmur, hypochondria, IBS, gastritis, colitis, gerd. My immune system was always compromised and I never knew why I had a chronic infection in my body in any given organ and why I’d turn septic when having routine surgery. My Lyme went undiagnosed for at least 27 years. Maybe longer. I was definitely bitten 27 years ago and that’s when the symptoms kicked in. But I was symptomatic since age 8 or so but I may have been born with autoimmune problems. Not sure though. I saw hundreds if drs. Never did one ever suggest Lyme. If I mentioned the Lyme word they immediately dismiss it. I got a rash in 1976 and no one knew what it was. I was diagnosed with Chronic Lyme Disease last year. I had to use a naturopath to send my bloodwork to IGenex since many of the doctors around here still think Fibro is a crock. If I say Lyme, everybody will think I’ve lost my mind. I was bite by a deer tick May 2013 (due to my job I was responding to an injured deer call). I went to my network doctor sick with flu symptoms 3 days after removing the tick. I was told it was a flu virus and ride it out. I did explain about the tick but was sent on my way. Within a week , I had the bullseye rash while again at the doctor. 13 doctors later in my network all refusing to test, dignose or treat for the tick bite. 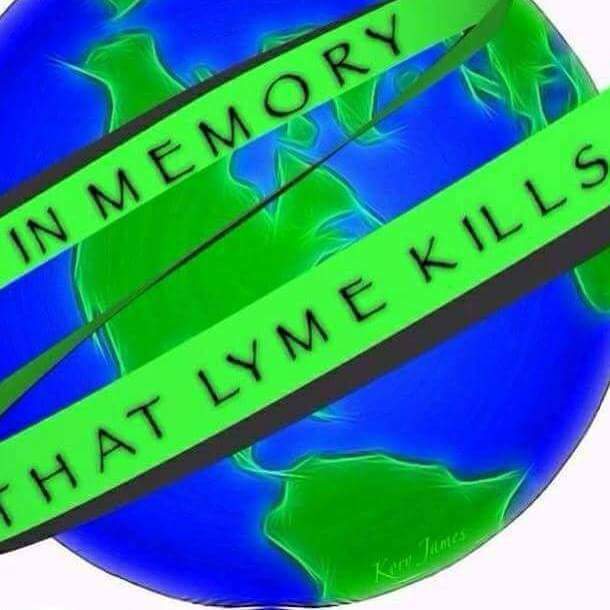 I was dignosed CFS, Fibromyalgia, Migraines, Celiac disease, IBS, allergies, platelet clotting disorder, and the list goes on…I was told over and over again Lyme Disease doesn’t exist in Texas. I was finally tested with the Elisa test, it came back negative. I was literally fading away. ..I lost over 50lbs that I couldn’t afford to lose. I couldn’t eat solid food with out vomiting. My final straw was completely forgetting when my home was as I was driving home from work. I sat in a parking lot crying because I couldn’t remember where I lived. It finally dawned on me to look at my Drivers license and to put the address in my phone. That scared me enough to quit trusting in the network and to get help. I went out of network was diagnosed by a LLMD using the Igenix and CD57 (was 32) with Lyme Disease, Bartonella and Babesia. I’m deficient IgA, deficient IgG and low IgM so I have no immune response = no immune system. I also lost my gallbladder due it turning septic due to all the toxins in my system. I’ve been in treatment for 5 months and I’m finally making progress. I am getting some of my life back! Was told stress and eczema or that I was fine by several doctors despite having a list of 75 bizarre symptoms matching Lyme that is experience over several months. Never saw a tick bite but after a severe illness i had constant waking though the night, fatigue, body pain/inflammation, heart murmur, etc for 25+ yrs, 4 sleep studies, echocardiograms, 100 thyroid tests seems like and 20+ doctors, finally met a doc that even thought to test me for Lyme! Previously told Fibromyalgia. Treated off and on for Lyme 3-4 yrs now. I get somewhat better for a while, and then downhill again. Now have leg pain most all the time, myasthenia gravis, immune deficiency that i get IVIG every 2 weeks for and have had c.pneumoniae and currently a persistant bladder infection. the list goes on and on and don’t know where it ends. it’s one thing after another. Am still working, but barely making it and think about going out on disability or retiring EVERY day! 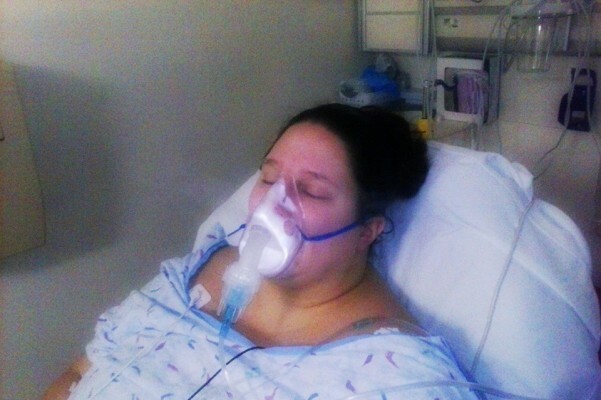 I had been sick most of childhood with asthma and allergies spending weeks at a time in hospitals on IV antibiotics…. My mom says she remembers a bullseye rash on me around the age of 8 but they dismissed it. I had knee surgery by the time I was 17… pain in shoulders but nothing too bad. Another knee surgery by the time I was 24… I slowly had began to “fall apart.” Always sick, always at the doctor. Allergies, anxiety, depression, gall bladder, meinere’s disease, IBS, and so on. I passed out about 5 years ago twice and was finally hospitalized for a week of testing (my husband said if they didn’t keep me he was punching someone in the face lol). They put me on a week of IV antibiotics just because and I felt great for about 8 months again…then sick so they said maybe I was allergic to gluten. Every time I would go gluten free I would get sick. (Probably because it was killing the disease). Anyway last year I started getting neuro symptoms. Heart issues as well. I woke up and the one side of my face wouldn’t move and the other was just ticking. Went to ER and they actually tested. I have been on and. Off antibiotics (doxy, mino, rifampin, biaxin and augmentin) but have horrible side effects with my heart so it’s been tricky. I had been on for about a year and a half. See lyme doc Saturday and probably taking fmla as I can’t work now either due to pain in my spine. I can’t drive, tie my shoes or do my hair…. 25 years of misdiagnosis and refusals to even test me for LYME. Got Lyme first at 19, with a full flu, and it was correctly diagnosed. Got it again at 25 with arthritic pains and nerve pains, diagnosed as fibromyalgia. Then diagnosed as Ankylosing Spondylitis. I was diagnosed with Bartonella when I was 2. They didn’t treat it back then. They think I had lyme at the same time. No one could explain why I was sick so often my whole life. When I was 22 I was diagnosed with Non-Hodgkins Lymphoma. My lymphoma symptoms came back when I was 25. I was diagnosed with Lyme, Bartonella, and Babesia. They now think the lymphoma was a misdiagnosis and I went through months of chemo for no reason. My diagnosis has been delayed and wrong, like millions of others. Unfortunately, I never had any initial treatment. At the time that I got very ill 21 years ago, I lived in the hearts of all this madness, NEW JERSEY. Undiagnosed for 7 years, misdiagnosed Fibromyalgia for 23-years, along the way we added CFS, intractable pain and more. Finally properly diagnosed April 2014 after 30-years! NO tick bite in my history. I’m very likely a congential patient. I’ve also got Babesia the West Coast version. [And an informative addendum I hope she’s OK with me including….] Babesiosis is caused by an intraerythrocytic parasite, Babesia which is similar in effect to Plasmodium falciparum, the causative agent of malaria.36,43 At present, four main species of Babesia are known to infect human. They are Babesia microti, B. divergens,Babesia-MO1 and B.-duncani (WA-1). B. microti was thought to be present in NE Coastal regions of the US, but recently cases have been reported from Switzerland too. B. divergens is found in Europe. Babesia- MOI, which is very closely related to B. divergens, is found in Missouri, US. Several cases of B. duncani have been reported from the West Coastal regions of the US.The intermediate host for B. microti and WA1 is the same tick that transmits B. burgdorferi, the causative agent of Lyme disease. Symptoms of Babesiosis are similar to those of Lyme disease: fatigue, malaise, myalgia, arthralgia, chills, and fever. The disease is particularly life threatening in splenectomized patients. There are several diagnostic tests for Babesiosis. (For my children)-Dan M and Heather D-wrong and delayed. 10+ years now for him and 5+ for her. I had mono in 1987 as a kid- never the same afterwards- started doctor hopping that same year and had many many tests including Lyme (traditional lab testing not specialized lab). For 25 YEARS I doctor hopped with same symptoms and had same tests and each time a new DX -CFS, EBV, fibromyalgia, lupus, rheumatoid arthritis., sjogrens disease …. 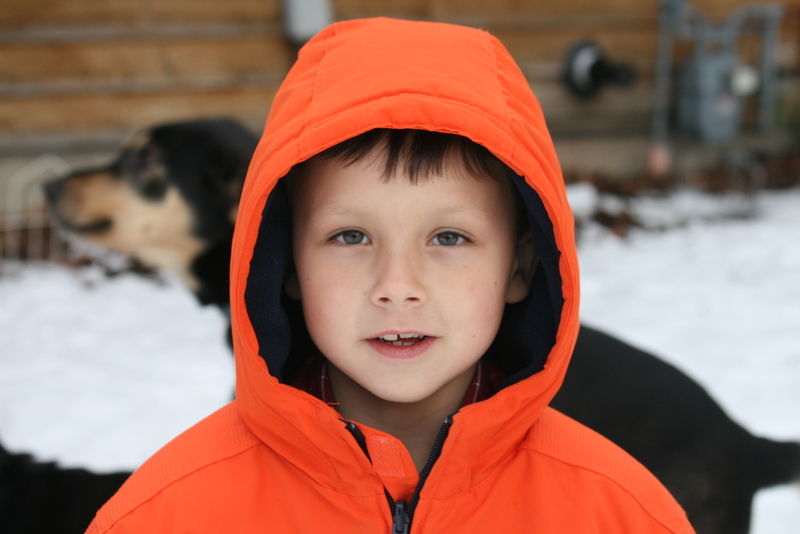 My second son started showing Lyme like symptoms when he was 5 and his PEDIATRICIAN ordered him AND me Lyme testing thru igenex- finally an answer- blew up the +++ with 3s and 4s… Too little too late for much hope though- and 5 years if treatments for kiddo with improvement but no resolution. Diagnosis delayed by 9 years. Never saw a tick or the “classic” bullseye rash. Kept getting false negatives on the ELISA titer. Was told I had an unknown virus and Epstein Barr which meant I’d have chronic mono symptoms for life. At 25 I had to stop working and apply for SSDI. I couldn’t think, had aphasia,was bed bound and if I did go out I was in a wheelchair. Doc finally did a western blot and it was positive. I’ve done 6 months of oral doxycycline and 10 months of IV rocephine, antivirals and tygacil (those are probably spelled wrong and there were other meds too but I can’t remember what they were) along with oral meds. I was told that I have advanced neurological lyme (the most advanced stage), that I was going to be sickly, continue to get worse and the Lyme will kill me. I refuse to accept that. Right now I’m looking for a new doc to work with (I live in Sarasota, FL. If you know of a dr in my general area pls pm me). I’ve seen long term abx work (like two years of abx) and I’m tired of being held hostage by this. The periods of remission keep getting shorter and shorter and the relapses longer and longer. I have no real life. No social events, few friends and a lot of time in bed because I’m just too sick to do anything. I get daily severe headaches and migraines. My hair is falling out and is 1/3 as thick as it was. I work hard to make it look like I still have a full head of hair. I’m in so much pain that walking around the apartment is hard. I fall on a regular basis because I have balance issues. I almost died three weeks ago because of complications from a migraine and lyme. This is killing me and it seems that nobody cares how bad lyme can get and nobody is willing to take the steps to make more accurate tests and treatments. I got married a year ago and my husband spends a significant amount of time taking care of me, working and keeping the apartment somewhat organized. He’s my hero. 16 years of my life have been ripped away from me. I’ve missed out on so much. I will never have kids because I don’t want to pass it on. I worry that my husband might get it as an STI. Lyme has affected every system in my body. I try to stay positive and am hoping that more IV treatment will make a difference and I’ll be my real self again. I was diagnosed right away put on tetracycline for 2 weeks. I was ok for years, thought I was cured. Then I had a time of extreme stress in my life and whammo I started getting sick and lots of pain. I had no idea what it was. I went about 5 years before a dr suggested I get tested of course it was positive. (However, I lived in Lyme conn. And his was in 1985 when the disease was not heard of that much). I was treated again for about 6 years and currently showing not active. I was told for the last five years that it was stress or my age even though not a month before the symptoms started I out worked to people in their twenties and had no signs of bad health. I didn’t get treated until I found a doctor who figured it out right away. Every year, more Montanans are contracting Lyme disease and more patients with Lyme disease are moving to Montana. This is a beautiful place to live, but a horrible place to be as a Lyme patient. Obstacles to diagnosis and effective treatment are as widespread as the disease. But in states like Montana, the problem is compounded by the idea that ‘we don’t have Lyme disease here’. Studies since the 1980’s have highlighted how bleak the probability of diagnosis is for people living in areas not considered endemic. This was even shown for Montana directly in one such study. 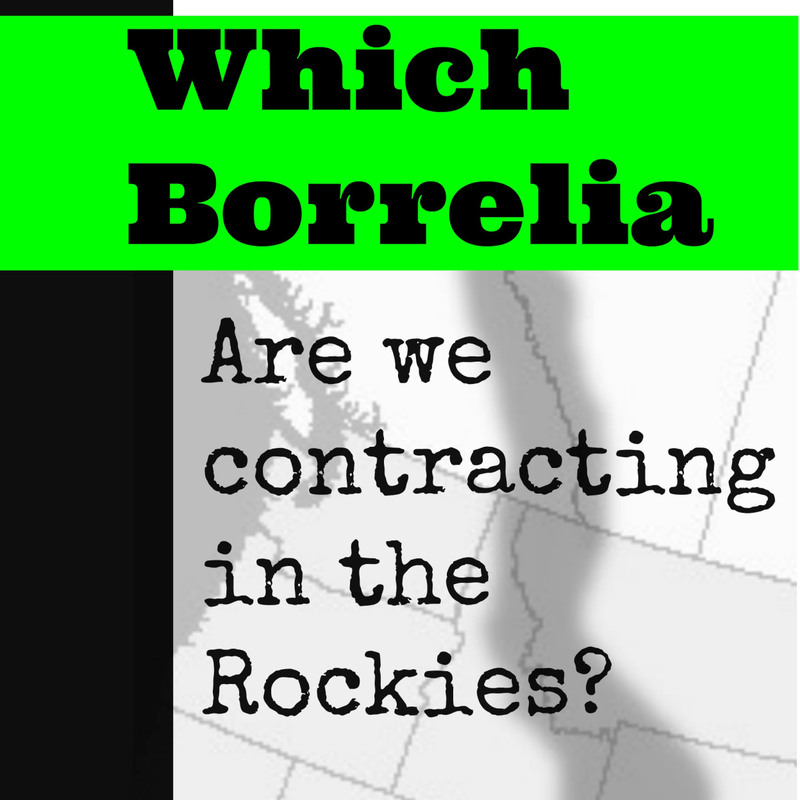 The problem is significant whether you contract Lyme in Montana or elsewhere. You are unlikely to be diagnosed in the acute phase of the disease. But more importantly, you are unlikely to be diagnosed within the first few years of infection, or at all unless you can travel out of state. Once diagnosed, you will not have access to options for care, and the limited options in state will most likely leave you driving for hours and paying out of pocket. We can get better, and many of us do, but our geography nearly guarantees a multi-year recovery for a disease that could be treated relatively quickly if caught early. The current state of Lyme care cannot stand. Patients nation-wide began calling Congress yesterday (you can read more in yesterday’s post). Unrecognized states, like Montana, need to make sure their patients got the message and called. We need to work even harder to get family and friends we may have reached out to to follow through with their calls, too (even if it doesn’t happen by the end of the day). We need to take time today, as well, to make sure others in our states get the word. In any ways you can today (right now and throughout the day, find posts to share on the Patients Call on Congress event page on Facebook, or pages (facebook, instagram, and twitter) for Lymestats, Invisibly Lyme Montana, and Lymeyarns). Tomorrow this begins….and this task is equal parts important and ‘easy’. It can seem a bit intimidating, but we all know the problem and how important this is. Our NUMBERS matter. It should take about 3 minutes of speaking time, one minute for each call. There is info, scripts, and even graphics to help you (see links below). One call to each of your U.S. Senators, and one call to your representative in the U.S. House. Scripts and additional links below. We increase our impact exponentially if we REACH out to others to make calls. Which can take even less time than the calls themselves. You can share the request via emails, social media, or word of mouth (links below). But making direct contact with AT LEAST five people you trust to help will help ensure follow through and let at least those five know how important this is to you. ***For all of us under-represented and under-recognized states, STEP THREE IS CRUCIAL! We are here and the point of this is to show it as we make this request. This section provides the very basics, with links for further reading. In the next 24 hours, I will be adding a more detailed background post for those interested, and tabs at the top of this website for easy access to resources. Lyme patients and patient advocates from around the United States will join together and call on Congress to take decisive action to address the out of control epidemic of Lyme disease and related tick-borne illnesses. Make three phone calls: one call to each of your U.S. Senators, and one call to your representative in the U.S. House. The event page provides additional information in the group descriptions, as well as via posts on the page, including a sample email applicable to patients and non-patients (contains many useful details), twitter examples, social media and sharing resources, scripts and instructions. 1. I am a constituent of [senator or representative name] and I would like to register my concern on an important issue. 2. I’m concerned about CDC’s handling of the Lyme disease epidemic and CDC’s preferential treatment of a private organization and other conflicts of interest. 3. I request that [senator or representative name] review this matter and ensure that CDC’s Lyme disease program is subject to proper Congressional oversight. Please ask [senator name] to co-sponsor bill S. 1503. 5. I would appreciate a reply once [senator or representative name] has had a chance to look into this matter. Additional Links will be available in subsequent posts and tabs, as noted earlier.